CTMH: June Stamp-of-the-Month Blog Hop! I really wanted to use a more boyish-looking paper, so I turned to Superhero. 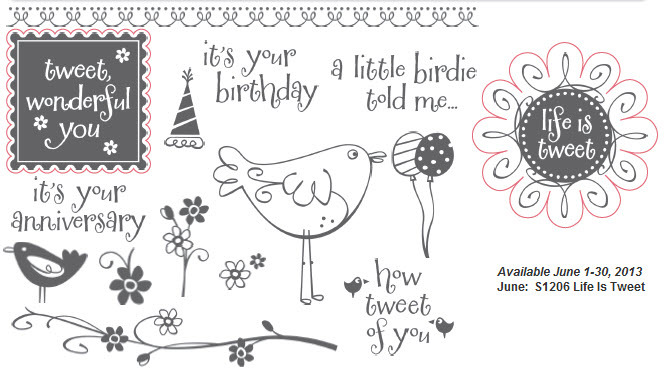 Even the bird is stamped from that patterned paper. 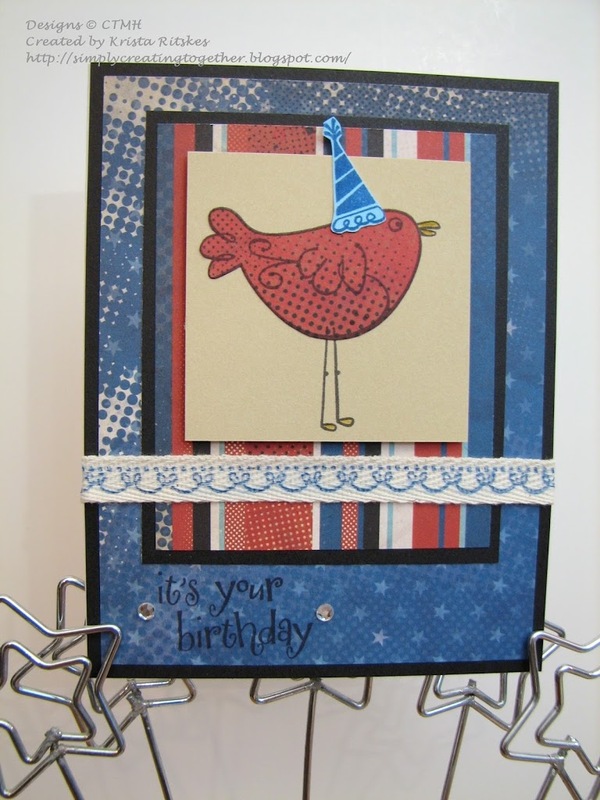 I stamped the party hat with Moonstruck onto Sky paper and the twill ribbon is also stamped in Moonstruck. The central image square is popped. Now it’s time to click on over to Georgia’s blog. Happy Creating! Your cards makes me smile. Love your stamping on the twill! Cute! Adorable, love the stamping on the twill! Your stamped ribbon looks awesome!! Yes, this was definitely a more boyish card! I really love what you did with the border stamp on this.